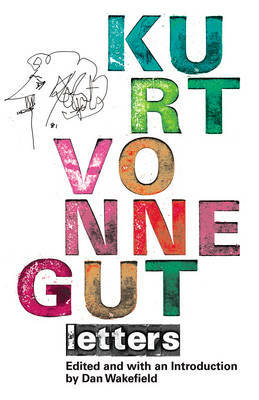 This collection includes the letter the twenty-two-year old Vonnegut wrote home immediately upon being freed from the German POW camp; wry dispatches from Vonnegut's years as a struggling writer; a letter to the CEO of Eagle Shirtmakers with a crackpot scheme to manufacture "atomic" bow ties; angry letters of protest to local school boards that tried to ban his work; letters to his children including advice like 'Don't let anybody tell you that smoking and boozing are bad for you. Here I am fifty-five years old, and I never felt better in my life'; fantastically wise letters to writers such as Norman Mailer, Gunter Grass, and Bernard Malamud; and his characteristically modest response to being called a 'great literary figure': 'I am an American fad-of a slightly higher order than the hula hoop.' Like Vonnegut's books, his letters make you think, they make you outraged and they make you laugh. Written over a sixty-year period, and never published before, these letters are alive with the unique point of view that made Vonnegut one of the most original writers in American fiction.